What roles can art and activism play in a post-Fordist society of the spectacle”? Can activist art effect real change? Art & Activism in the Age of Globalizationasks these and other pressing questions facing contemporary activist art, through case studies by established artists and filmmakers such as Steven Cohen and Christoph Schlingensief, as well as emerging voices such as Renzo Martens and Les Chiens de Navarre. It investigates issues of urban activism and the activism of anonymous networks, giving special consideration to the effects of the War on Terror upon the activist agenda. 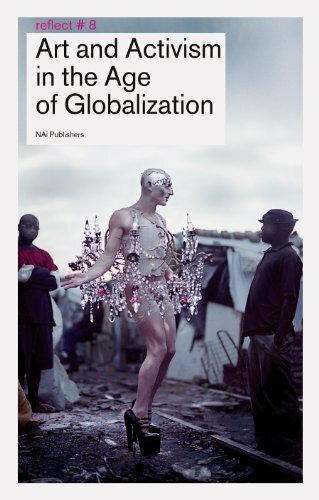 In our era of unchecked globalization and the extreme crisis of global warming, this indispensable reader concludes by proposing a theoretical scaffolding for modern-day activism, making a passionate appeal for a truly political art. Text: De Cautier Lieven, Vanhaesebrouck Karel et al. pp. 334; paperback. Publisher: NAI Uitgevers, Rotterdam, 2011.